The idea is to know how much you have to contribute without having to show up personally to the child support offices. 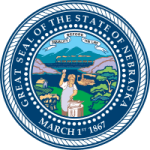 The Nebraska child support calculator makes it for you to access such information online. You will be able to compute how much you need to contribute based on your financial status. For example, your gross salary, tax history and the financial needs of the children will be looked into before you can arrive at a figure. Step 1: Access and download the below document. Step 2: Enter your income details and compute, based on the instructions below the lines up to line 6. Step 3: Use the table below to determine the child support per month for combined income to fill line 7. Step 4: Continue with lines 8 up to 12 to determine the final share of the child support obligation for each parent.